Why Excluding Nuclear, Fossils With Carbon Capture, & Biofuels From The Green New Deal Makes Financial & Climate Sense, Clean Technica January 24th, 2019 , By Mark Z. Jacobson & Mark A. DelucchiThe Green New Deal and multiple proposed laws and resolutions in the U.S. House (HRes.540, HR.3314, HR.3671) and Senate (SRes.632, S.987) call for the United States to move entirely from fossil fuels to clean, renewable electricity and/or all energy. A new bill was just introduced by Rep. Ted Lieu (D-Los Angeles County) and Rep. Jimmy Gomez (D-CA), calling for the U.S. to produce 100 percent of its electric power from renewables by 2035. Here is why nuclear, fossils with CCS, and biofuels should be excluded. All three technologies are opportunity costs. 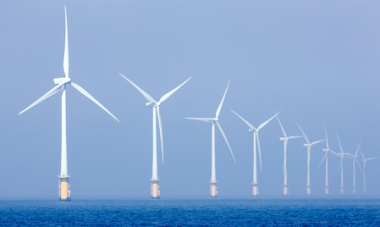 They raise costs to consumers and society, slow solutions to global warming and air pollution by increasing carbon and emissions relative to clean, renewables (thus are not zero carbon), and/or create risks that clean, renewables don’t have. For example, onshore wind and utility PV are now the cheapest forms of electricity in most countries, including the U.S. New nuclear today costs 4 to 6 times that of new solar or wind to produce the same electricity. Further, a nuclear plant takes 5 to 17 years longer between planning and operation than does a solar or wind farm. Thus, every dollar spent on nuclear results in 1/5th the energy production and 5 to 17 years more coal and gas burning than if wind or solar were installed instead. This delay and lower energy production from new nuclear condemns millions more to die from air pollution, which today kills 4 to 9 million people worldwide. By choosing to build several nuclear plants a decade ago that have yet to operate, China suffered an increase in its overall CO2 emissions by 1.4 percent between 2016 and 2017 rather than seeing a decrease of 3.4 percent if it had spent the money on wind and solar instead. Given that many 100% renewable policies call for a full transition of electricity by 2035, and given the financial and time requirements of nuclear, it is all but impossible for any more than a few new nuclear plant to be in place in by then. In terms of emissions, nuclear is not zero carbon. A new plant emits 9 to 37 times the carbon emissions over its life as onshore wind, partly due to the fossil fuels used in mining and refining uranium continuously and building the facility but more because coal and gas plants are emitting during the long planning-to-operation time of a nuclear plant. Just as importantly, according to the Intergovernmental Panel on Climate Change, there is “robust evidence and high agreement” that nuclear power raises concerns about weapons proliferation, core meltdown, creation and storage of radioactive waste, and land-use degradation from mining. Wind and solar power do not have these concerns. Next, neither coal nor natural gas with carbon capture and sequestration (CCS) is remotely close to zero carbon. For example, the Petra Nova project in Texas combines a coal plant with CCS. However, a natural gas plant was built just to run the CCS equipment, and when accounting for the actual efficiency, natural gas combustion emissions, CO2 combustion emissions, and methane leaks from mining the gas, the plant reduces only 22 percent of the carbon it was designed to over 20 years – at an additional cost of $4,200/MW. That same investment could have been spent on wind and solar to replace the entire coal plant and 100% of its emissions. Adding CCS to coal plants also increases air pollution and land degradation by about 25 percent. Finally, the captured CO2 is used for enhancing oil recovery, causing even greater damage to climate and health. Thus, CCS represents an enormous opportunity cost compared with developing wind or solar. Timothy Gardner WASHINGTON, Jan 24 (Reuters) – Republicans on the U.S. nuclear power regulator approved a stripped down safety rule on Thursday that removes the need for nuclear plants to take extra measures based on recent science to protect against hazards such as floods and earthquakes.The Nuclear Regulatory Commission, a board of three Republicans and two Democrats, approved the rule on a 3-2 vote along party lines. Dissents are rare on the NRC and the two Democrats strongly disagreed with the approval. They said the Republican decision could allow plants to avoid protections against risks of natural disasters that have become apparent with science methods that have evolved since most plants were built about 40 years ago. ……. 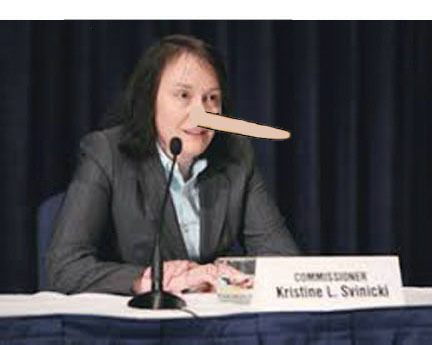 NRC Chairman Kristine Svinicki, a Republican, said after the vote that the commission’s work since 2011 has resulted in “tangible safety improvements at every U.S. nuclear power plant.” …….. The power demands to sustain American military operations are only increasing, but small nuclear power plants could present new problems.The Drive, BY JOSEPH TREVITHICK, JANUARY 24, 2019 The U.S. military’s secretive Strategic Capabilities Office, or SCO, is asking for potential vendors to submit proposals for small mobile nuclear reactors to help meet ever-growing demands for power during operations in remote and austere locations. This request for information comes as the U.S. Army, in particular, is looking to extend the amount of time its units can operate independent of established supply chains, but portable nuclear power could introduce new risks to the battlefield. SCO first announced that they were looking for “information on innovative technologies and approaches” relating to a possible future “small mobile nuclear reactor prototype design” on FedBizOpps, the U.S. government’s main contracting website, on Jan. 18, 2019. The organization posted an amended version of the notice, which outlines a “multi-phase prototype project” as part of what it is calling Project Dithulium, four days later. …..
SCO basic requirements envision a reactor that can generate between one and 10 megawatts of energy, less than the average output for even a small research reactor, and weigh less than 40 tons. The final design would need to be portable by semi-trailer truck, ship, or a U.S. Air Force C-17A Globemaster III cargo plane. The goal is to develop a system that personnel can set up in three days or less and shut down and pack up in less than a week. The reactor itself would remain functional for at least three years without needing new fuel. SCO is hoping to consider up to three designs under the first phase of the project, which would be an in-depth design study that would last between nine and 12 months. The plan is to then down select to a single design for Phase II, in which the winning contractor would build and demonstrate their prototype reactor. There are a number of potential concepts already in various stages of development that could meet SCO’s requirements. The U.S. Department of Energy’s own Los Alamos National Laboratory (LANL), in cooperation with the Westinghouse power company, has been working on one design called MegaPower for some time now. Westinghouse is separately working on its own eVinci micro reactor design………. There is no fixed timeline yet for when Phase I might begin, but as the request for information notes, there is already significant demand for this kind of miniaturized portable power plant. ……. The other branches of the U.S. military have their own requirements for this kind of portable power, as well. The Air Force and the Marine Corps are both actively exploring new concepts for rapidly establishing bases that could benefit from the addition of power from small nuclear reactors. even if the reactor itself cannot catastrophically fail, something that may be a tall order to ensure in austere conditions regardless of the design, powering remote and austere bases with nuclear power could run other risks. If hostile forces end up destroying the reactor, it could potentially lead to the hazardous dispersal of radioactive material. This, in turn, could produce short- and long-term health and safety concerns for U.S. forces and innocent civilians in the surrounding area. Even if the risk is minor, the perception of those dangers could impact public opinion about American military activities …. There’s also a proliferation issue in building a large number of mobile reactors and placing them in war zones. There is also a matter of disposing of the nuclear waste material they’ll produce. …..
A reactor that is by design mobile would almost certainly be an attractive target for terrorists or militants looking to build a so-called “dirty bomb” that mixes radiological material and conventional explosives. …. On top of that, unlike existing portable generators, any mobile nuclear reactor would require much more robust control systems to ensure its safe and reliable operation. 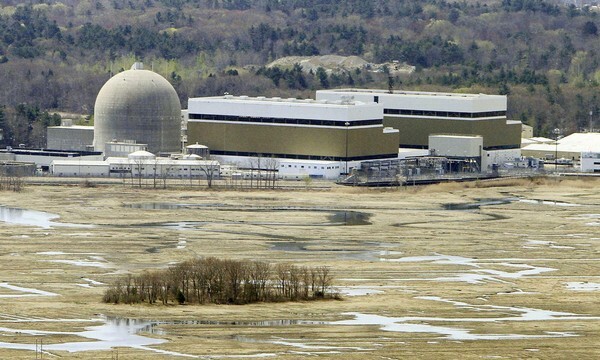 Depending on the reactor’s exact configuration, there is the possibility that a cyber attack might be able to shut it down or otherwise hamper its operation at a critical point. “Though unchanged from 2018, this setting should be taken not as a sign of stability but as a stark warning to leaders and citizens around the world,” the Chicago-based group said in a statement. Humanity’s two simultaneous existential threats of nuclear war and climate change were exacerbated during the past year by the “increased use of information warfare to undermine democracy around the world,” the group said. “In many forums, including particularly social media, nationalist leaders and their surrogates lied shamelessly, insisting that their lies were truth, and the truth ‘fake news,'” it said. Since the election of US President Donald Trump in 2016, the clock has closed in on midnight in successive 30-second moves in 2017 and 2018, in part because of escalating tensions with North Korea over its nuclear program. The last time the clock was as close to midnight as it has been in the past two years was in 1953, when the US-Soviet arms race escalated as Moscow tested a hydrogen bomb in August after the detonation of an American H-bomb the previous November. On climate, the group said carbon dioxide emissions resumed an upward climb in the past two years. 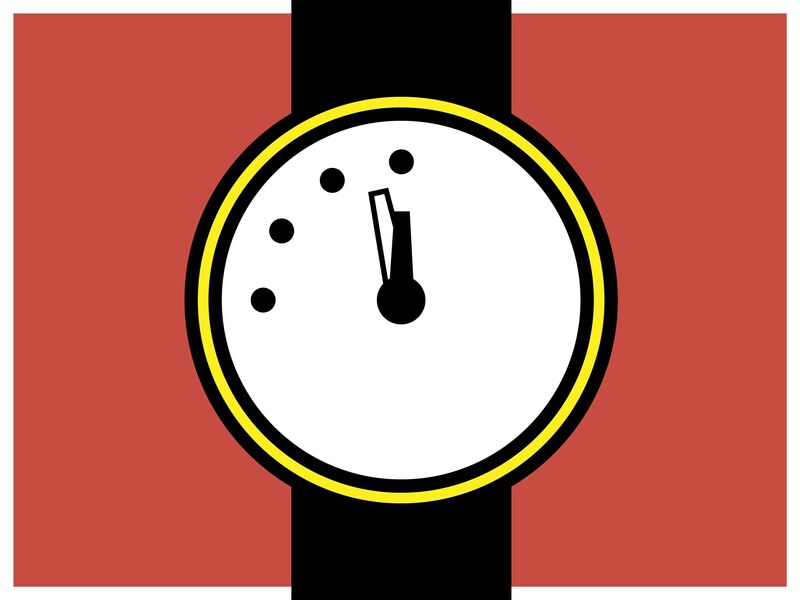 To turn back the clock, it recommended steps including fortifying and extending US-Russian nuclear treaties with limits on modernisation programs, adopting safeguards to prevent peacetime military incidents along NATO countries’ borders, citizen demands for action on climate change and multilateral talks to discourage the misuse of information technology. The bulletin was founded by scientists who helped develop the United States’ first atomic weapons. When the clock was created in 1947, it was set at seven minutes to midnight. Weather and climate aren’t the same thing, meaning you can expect harsher winters in a warming world. BY SARAH GIBBENS A record-breaking cold snap is relentlessly descending on parts of the U.S. this month. It spawned from a split polar vortex that sent cold, Arctic air across the continent. In a time when climate change is discussed in the context of record highs, droughts, and wildfires, cold weather and blizzards can seem out of place. For those who deny that climate change is happening, it’s an opportunity to undermine scientific consensus. First, it’s important to understand the difference between climate and weather. Climate is defined as the average weather patterns in a region over a long period of time. It’s the difference between Europe’s temperate and Mediterranean zones versus the harsh cold conditions of the Arctic tundra. Each of these climate regions experiences day-to-day fluctuations in temperature, precipitation, air pressure, and so on—daily variations known as weather. n response to President Trump’s January 20 tweet about cold temperatures, Potsdam University physicist Stefan Rahmstorf noted on Twitter that, while North America was experiencing cold Arctic air, the rest of the world was abnormally hot. And, the polar vortex bringing that cold air to the U.S. may actually become increasingly unstable, Rahmstorf noted. “Warm temperatures in the Arctic cause the jet stream to take these wild swings, and when it swings farther south, that causes cold air to reach farther south. These swings tend to hang around for awhile, so the weather we have in the eastern United States, whether it’s cold or warm, tends to stay with us longer,” said study author Jennifer Francis in a press release. Record cold temperatures and blizzards aren’t the only extreme weather patterns expected. But we don’t have to wait until 2100 to see how climate change is leading to deadly weather. Scientists have already found climate change contributed to California’s historic, deadly wildfires and powerful, destructive hurricanes. 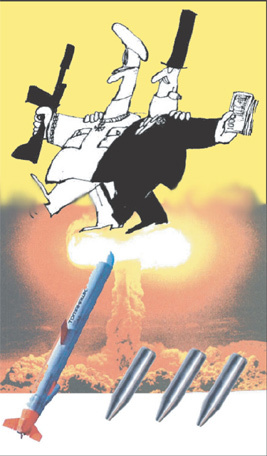 By: Aaron Mehta 26 Jan 19, WASHINGTON — If the U.S. carries out all of its plans for modernizing and maintainingthe nuclear arsenal, it will cost $494 billion over the next decade, an average of just less than $50 billion per year, a new government estimate has found. The number, part of a biannual estimate put out by the Congressional Budget Office, is 23 percent over the previous estimate of $400 billion released in 2017. That 2017 figure was a 15 percent increase over the 2015 number. FEARS Saudi Arabia could be seeking to build nuclear weapons have surged following reports the Kingdom has launched a domestic ballistic missile programme. Express UK By JAMES BICKERTON, Jan 25, 2019 According to a report published in The Washington Post, Saudi Arabia appears to have constructed a ballistic missile factory, which could threaten to trigger a new Middle Eastern arms race. Saudi Arabia already owns foreign-brought ballistic missiles but has yet to construct its own. A number of experts have warned this could signal a Saudi desire to become nuclear armed. Satellite images taken in November appear to show a ballistic missile factory near the town of Al-Watah, according to the report. The site is situated next to an existing Saudi Arabian missile base. A team led by nuclear expert Jeffrey Lewis, from the Middlebury Institute of International Studies, uncovered the pictures.